It’s John Grisham, so I never expected it to be great literature. But I was still disappointed. The beginning was absorbing, and I liked the premise. The novel is all about booksellers and novelists — well, more like a bookseller and a novelist — which clearly should appeal to book-lovers like me. And there are almost no lawyers anywhere in the story, an unusual plus for a Grisham novel. So what could possibly go wrong? First, let’s skip to the end. I kept expecting some plot twist, some Deaver-esque reversal of good guys and bad guys, but no, the ending was just like early Grisham novels. Ho, hum. And then there’s the middle, which wasn’t Grisham-like at all. Did he subcontract that part of the story out to someone else? Suddenly it became chick lit or a romance novel — I don’t know enough about either to tell the difference. Not what I was looking for at all. 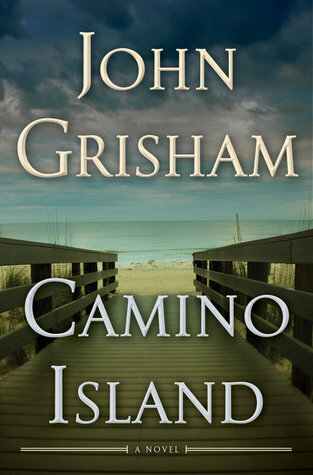 So you may wonder where crime and detection come in, as Grisham’s name is on the cover. That’s where we go back to the premise: five original manuscripts of F. Scott Fitzgerald are stolen from Princeton, and an insurance company rep arranges for an unsuccessful novelist to hunt them down. Yeah, right. There are a couple of interesting characters, but not the protagonist (the aforementioned unsuccessful novelist). The amazingly successful owner of an independent bookstore is mildly interesting at first, until he becomes a caricature; another novelist, whose character seems stolen from Louise Penny’s Ruth, remains interesting even if not original. The story line kept my attention, and the setting of a resort island in Florida is mildly convincing, though I wouldn’t know.